There are a lot of different ways to improve your health and this also applies to today’s topic of lowering your blood pressure. In fact, at the end of today’s article, I’ll tell you exactly how my dad lowered his blood pressure, naturally. However, when it comes to lowering blood pressure, you can also do so with 5 simple and proven pressure points on your body. This is really important because obviously, you don’t need drugs. But also because the benefits are felt instantly and it’s super easy and convenient. 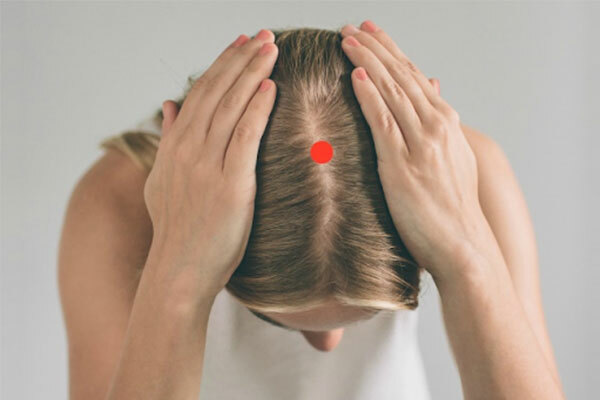 You can activate these pressure points anytime, anywhere. Just remember that in the US, 33% of the population has “high” blood pressure. Over 50% has “pre” high blood pressure. Sadly, about 75% of people don’t even know they have high blood pressure and thus, are at risk for a heart attack, stroke or kidney problems. And this is why hypertension is called “the silent killer”… people just don’t know they have it and there are no clear symptoms either. LI 4 (Large Intestine 4) is really easy to get to. It’s in that “meaty” part your upper hand, between your thumb and forefinger. Just use your other hand’s thumb to apply pressure for 1-2 minutes or treat it with a pulsating movement. In addition to lowering blood pressure, it also helps treat chronic pain and boosts your immune system. PC 6 (Pericardium 6 or “Inner Gate”) is also easy to get to. It’s on your inner forearm. To find it, go approximately 3 fingers up from your wrist – it’s at the bottom of your inner forearm basically. It helps your heart and settles your blood pressure by regulating your circulatory system. It can also treat nausea, headaches, and motion sickness. This is on your foot, between your big toe and second toe. Again, apply pressure for about a minute. This helps with blood pressure, in addition to menstrual pains and anxiety. 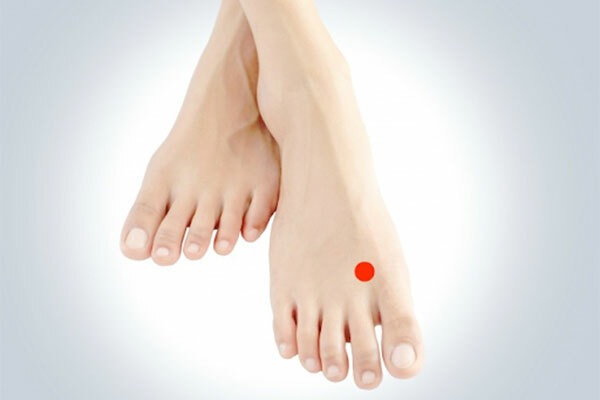 In general, your feet have a variety of pressure points, which, when massaged, can bring a great improvement to your health. In fact, there’s an entire healing practice focused on your feet and it’s called, Reflexology. This is found at the base of your neck, right under your skull. There are 2 points actually on each side of your vertebrae. 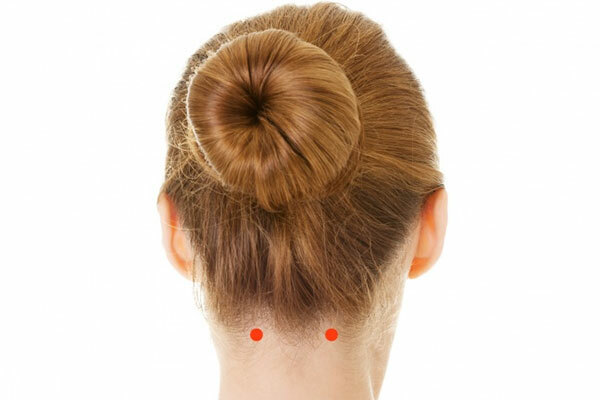 Again, apply gentle pressure on both of these points, left and right, for about a minute. Keep your hands steady, and don’t involve any other motion. When doing it to yourself, use your thumbs. This is found at the top of your head, in the middle. 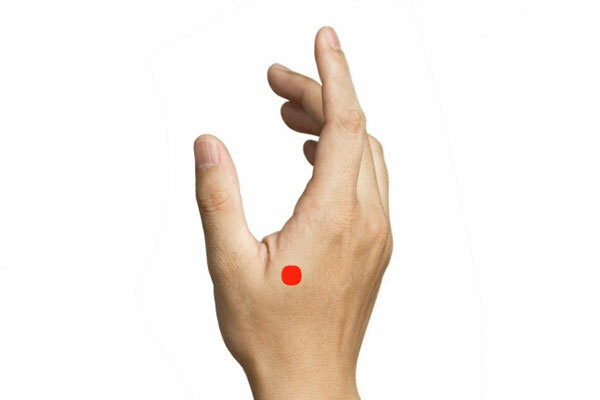 You can massage or press this point to lower blood pressure, treat dizziness, or just to feel more rested. 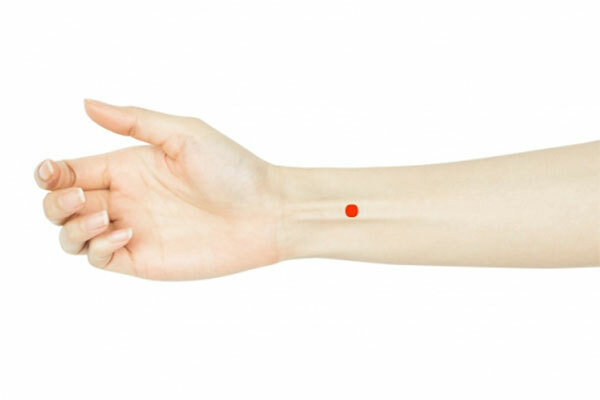 These are the 5 best pressure points for lowering your blood pressure. I suggest you use them to simply relax when you feel stressed, tired, or overwhelmed.